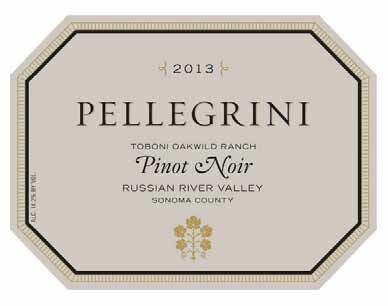 The Pellegrini family has been growing grapes and producing wine in Sonoma County, California, for four generations. Current patriarch, Robert, was to establish Olivet Lane Vineyard and Pellegrini wines upon the urging of his grandfather, Vincent. In 1973, Vincent acquired a 65-acre apple, plum and olive orchard on West Olivet Road between River Road and Guerneville Road in Santa Rosa, an area known as the Santa Rosa Plain. Robert was fresh out of school and had just returned from a tour of Burgundy and was intrigued by the idea of planting Pinot Noir on the newly acquired land. Robert planted Pinot Noir and mainly Chardonnay in 1975, primarily out of economic considerations as Chardonnay was much more in demand than Pinot Noir at the time. 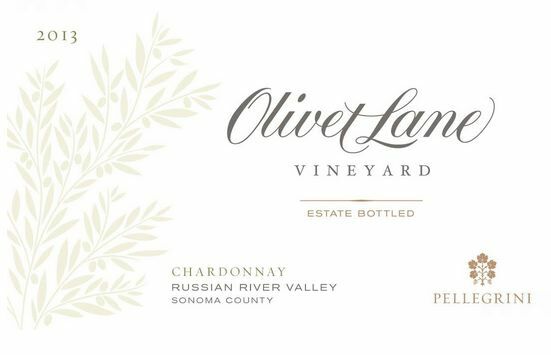 The Olivet Lane Vineyard, named after the 120 olive trees which line the vineyard’s east entrance was to be one of the first vineyards in the Russian River Valley devoted exclusively to these two varieties. 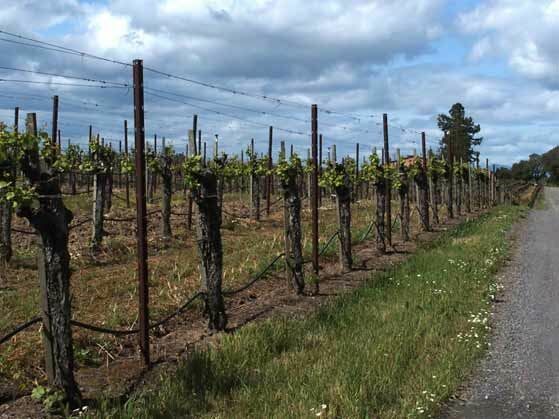 The Olivet Lane Vineyard is one-third a monoblock of Martini clone Pinot Noir and two-thirds Wente clone Chardonnay planted on AxR#1 rootstock with wide vine spacing that was in favor in the 1970s. The grapes have a near-perfect balance of chemistry at harvest, developing desirable flavors at 24.0º to 24.5º Brix with spot-on acidity. The wines are never brawny, blockbuster wines, and need only the most judicious use of oak to compliment the grape’s delicate red fruit and spice flavors. An Olivet Lane Estate Chardonnay was first released in the late 1970s and an Olivet Lane Pinot Noir in the 1980s. Merry Edwards has made an Olivet Lane Vineyard designated Pinot Noir since 1997 and several other notable wineries have made distinguished wines from this vineyard including Williams Selyem, WesMar, Gary Farrell, Brogan Cellars, Kosta Browne and Paul Hobbs. 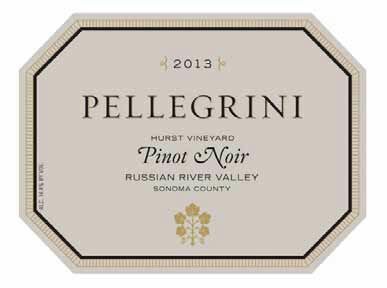 For a number of years multiple varietal wines from sourced grapes were produced under the Pellegrini label, with estate Pinot Noir and Chardonnay carrying the Olivet Lane label. A Tuscan-styled winery was built on the estate and a tasting room opened. A few years ago there was dissent among family members regarding management of the winery. While the dispute was settled, no wine was produced at the winery following a 2009 Pinot Noir and 2010 Chardonnay, with all grapes going to Williams Selyem and Mary Edwards. By 2013, Robert and his direct family had assumed sole proprietorship and estate wine production resumed. 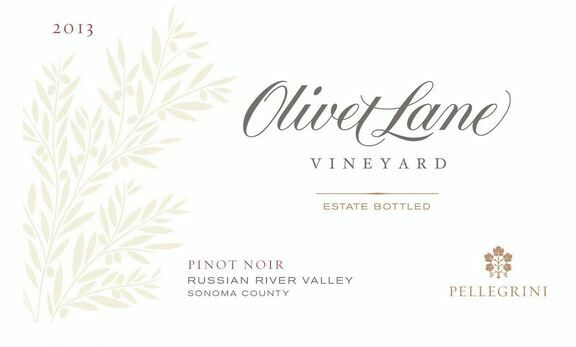 A new staff, including Winemaker Lynn Krausmann and Chief of Operations Alexia Pellegrini (Robert’s daughter), was assembled and Robert is now proud to announce the May release of the 2013 Olivet Lane Vineyard Pinot Noir and Chardonnay and Pellegrini vineyard-designated Pinot Noirs. Lynn is an experienced winemaker, having graduated with a degree in enology from University of California at Davis, followed by winemaking stints at Robert Mondavi Winery, Cloudy Bay Wines in New Zealand, Clos du Bois, Williams Selyem and most recently, Esterlina Vineyards in Anderson Valley. Robert recently invited me to preview the new 2013 releases at the winery. The wines had been bottled only three weeks prior, yet I was very impressed. It is clear the winery is back on track, a fitting new incarnation of a treasured Russian River Valley heritage estate. The winery is open for tasting by appointment. Visit www.pellegrinisonoma.com.